My interview experience with you has been top notch! 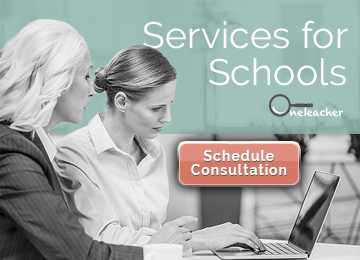 All the staff at OneTeacher have been wonderful in their support of my candidacy – their review process, interviews and communication have been excellent. The school is absolutely amazing! I love the administration, teachers, and students! I am so excited to learn more about teaching and to start my career in education. Thank you so much for making this possible. This would not have become a reality without OneTeacher! I was worried about using a service to find work. But 10 seconds into the conversation I was given a great interview for a job that I love. Plus when I was worried about the interview they helped me prepare and even got my employer to confirm employment within a few days. It was a great stress off my mind and I am very happy with the results. 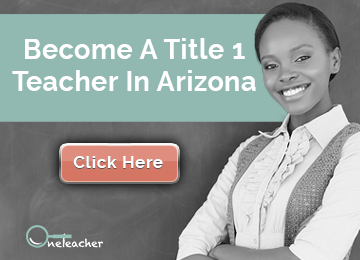 OneTeacher’s mission is to make that “perfect match” between amazing teachers and inspiring Title I schools in Arizona in order to transform lives and change history. Copyright © 2019 · OneTeacher · All Rights Reserved.